Efficiency and productivity are things all agents can benefit from -- a gift that gives the gift of time is priceless. Gifts that can keep us calm while chaos surrounds us might just be the most beloved of all gifts. Think productivity-enhancing, stress-reducing and professional gifts, and you can't go wrong. It’s that time of year again. That moment when you are trying to wrap up business for a few days, but your shopping is not yet complete. What to do? If agents are on your list, we’ve got you covered. Real estate agents are busy creatures, so these gifts are all about going pro to help them save time, look great and operate at a higher level. Here are some gift ideas that will show so much thoughtfulness for the needs and wishes of the agents in your life. They will never guess it was last-minute purchase. With the exploding real estate marketing scene, looking professional is key to standing out from the crowd. 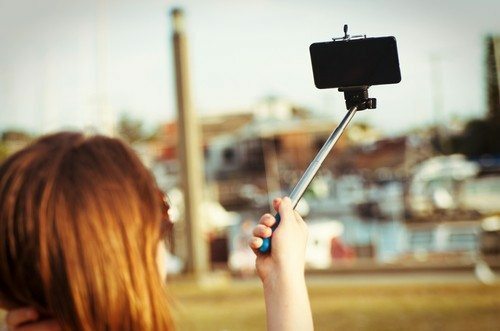 We all take selfies — why not make the photo look like it’s not a selfie by using a selfie stick and Bluetooth remote. Hark! The new un-selfie is born. Take photos on your cell like a pro — from wide angle to macro and more. Using a tape measure is a real chore. Speed things up, and have fun with this little gadget. This pocket beauty has saved me innumerable times, and I’ve made friends with strangers when I saw they needed a charge. Drones are all the rage, but they’re so expensive. How about this tiny baby that fits in the palm of your hand? With the amount of cards the average real estate agent gets in a week, it’s impossible to stay on top of them. This handy tool helps you by reading and scanning them at the same time, and it works with PCs and Macs. We as agents are notorious for leaving things — essential things — all over the place. This gadget helps you find your item in a flash. With separation alerts, you might not even lose anything, as the TrackR will notify you if you are getting too far away. Thych is a new device that sends low-energy waveforms to your brain via a small patch that you wear for just a few minutes, resulting in hours of relaxing or invigorating energy. We had to suggest one classic non-tech item that any agent would love, the Meisterstück (masterpiece) is the quintessential writing instrument of quality and elegance. Sign listing agreements, contracts and closing documents in style. Busy agents’ lives are scattered and hectic, but your gift can help them enjoy a more productive workweek that will be appreciated day in and day out. Busy agents’ lives are scattered and hectic, but your gift can help them enjoy a productive day. Do you have gift ideas that you’d like to receive as an agent? If so, please share them in the comments section below. Janie Coffey is the broker associate and director of sales at the Ponte Vedra Beach Office for Manormor Sotheby’s International Realty. Follow her on Facebook and Pinterest.